Hi! I'm a 14 year Portuguese Scratcher that Scratches since 2017. I'm working on the ANCIENT LEVELS! 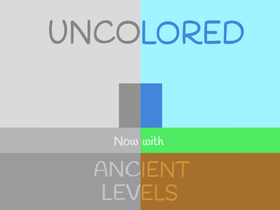 For those who don't know, Ancient Levels are the new levels that are part of my newest game "Uncolored (A Platformer)". I'm also trying to complete my "100 Doors"